The New York Yankees advanced to the MLB American League Division Series thanks to a 7-2 victory against the Oakland Athletics in their one-game playoff clash. Only Zach Britton was touched up for a run when Oakland's Khris Davis smacked a two-run home run off him in the eighth as their bullpen rode to victory midweek. The Yankees will now face off with bitter rivals the Boston Red Sox in the ALDS, starting Friday. If someone wanted to make the argument that Luis Severino was going to struggle in the wildcard game because he was not as good in the second half of the season, OK. He was not very good. In fact, he was bad, posting a 5.57 ERA over his final 12 starts. But for those people who said he would not fare well because he threw 0.3 of an inning in last year's wildcard contest, they were just overthinking things. 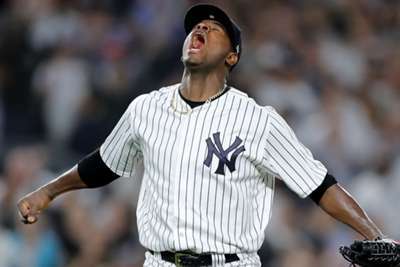 Severino came back after that abysmal start to throw seven innings of three-run ball against the Cleveland Indians in the ALDS, four innings of one-run ball against the Houston Astros and then he had a misleading start where he gave up three runs in 4.6 innings in game six of the AL Championship Series. He not only came back, but proved he could pitch well in the postseason and did so with his back to the wall in every single one of his appearances as the Yankees were either tied or behind in that current series. 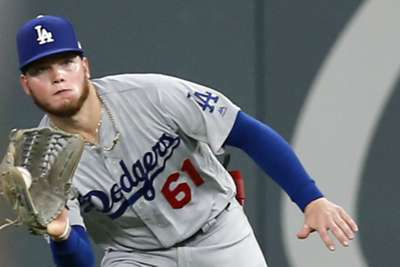 No wonder he threw four innings of two-hit, no-run, seven-strikeout ball on Wednesday. Are the Yankees finally healthy? Yankees manager Aaron Boone told ESPN before the game he believed New York were finally healthy heading into the postseason. It is hard to argue with that assessment after the team's wild-card win. Judge made a statement in his first at-bat with a home run off Liam Hendriks, Didi Gregorius tallied a hit, Gary Sanchez ran out a grounder, Aroldis Chapman tossed a scoreless ninth and Severino looked really solid after telling reporters earlier this week he was not healthy during his rough stretch earlier this season. Those are all vital parts of the Yankees' roster, and if they hope to beat the Red Sox in the ALDS, they have to have them at 100 per cent. Boston will outscore the Yankees if they are not at full strength as the Red Sox boast the best line-up in baseball. But if New York have everyone available, the argument can be made that they can keep up with the top team in a slugfest. Here is rooting for the Yankees to be at full strength if just for a fantastic ALDS. New York fans want Boston. They made that abundantly clear in the sixth inning of the winner-takes-all game by chanting exactly that at the top of their lungs as they were coasting to another AL wildcard win. It is great to be confident, and it would be hard for Yankees' fans not to be after winning the way they did against one of MLB's best teams down the stretch. But the Red Sox are really, really good. They won 108 games for a reason, and had a winning record against the Yankees this season, albeit not a big one, and most importantly, Boston have the best hitting team in the majors. According to ESPN, the Red Sox lead MLB in runs per game, on-base percentage, doubles, clutch hitting, WAR and defensive runs saved. Even more daunting, Boston have the highest OPS of any team in MLB against right-handed pitchers. The Yankees could have four starts from righties in the ALDS. So it is great Yankees fans are confident, but be careful what you wish for.